Most of the characters on TV have dumbness instilled in their system. If a character acts brainless or behaves logic less on simple and straight forward issues, then it doesn’t bother us much as it a common affair. But what makes us jump up from our seats and shake our heads in disbelief is the consistency with which these characters keep on increasing their dumb quotient with each passing day. 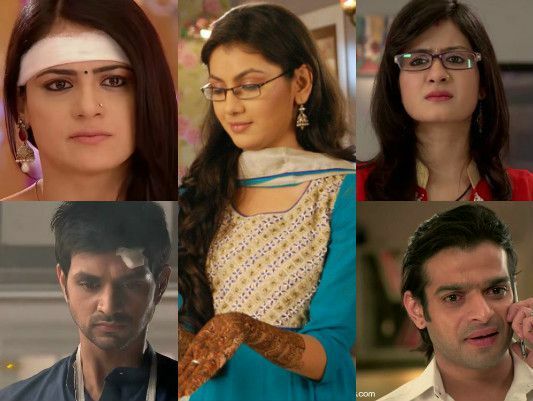 Today we bring to you the top seven characters on TV who continuously succeed in torturing us with their stupidity. Pragya Mehra – Pragya has never been an intelligent character ever but recently with her act of sacrificing her life, happiness and love even after knowing clearly that Abhi is in love with her was shockingly indigestible. She breaks her marriage and brings Tanu home, who leaves no chance to insult her. This is foolishness of the greatest order. Raman is a pain to watch.